There’s only one problem: CNN’s report falls apart after the headline. 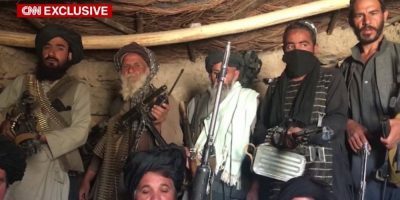 While many of the weapons flaunted by militants certainly appear Russian in origin, the videos provide little evidence of a direct evidence of a recent arms transfer from the Russian government to Taliban forces, according to weapons experts from U.S. Special Operations Command and several non-governmental conflict arms organizations interviewed by Task & Purpose. “I’ve watched the video and frankly can’t see anything that is particularly unusual,” James Bevan, a weapons specialist and director of Conflict Armament Research Ltd, told Task & Purpose in an email. CNN also notes that the weaponry appears “stripped of any means of identifying their origin,” the Russian connection appears dependent on the little more than the less-than-reliable claims of various Taliban goons.